Formula One returns to action this weekend at the less than thrilling Hungaroring, a track that is infamous for its lack of overtaking and high temperatures. There will be new tyres on display, ones that will hopefully garner less attention than those that have gone before, whilst the DRS zones have been doubled in an attempt to get more passing during the race. This is the final race before the summer break, so it's a good chance for someone to spring a surprise, or more likely, for Sebastian Vettel to extend his title lead once again. Vettel and Red Bull were back on form in Germany, with the championship leader taking victory in front of his home crowd. The title battle hots up a little though, as Kimi Räikkönen remains in contention - mathematically at least. The hotter temperatures here at the Hungaroring should work in the favour of the Lotus team, too. Meanwhile, Daniel Ricciardo will be hoping to impress for the third race in a row, particularly after a poor outing at Silverstone when given his big chance in the Red Bull. Sauber may have a new lease of life after being granted a Russian lifeline, whilst Williams have ditched their technical director and are looking for their own turn of fortune. There's plenty of sunshine in store for the drivers this weekend, with high temperatures after the slightly less strong conditions in the recent Europe races. With regular highs of over 30 degrees, the only clouds on the forecast look to be on Thursday (too soon) and Tuesday (too late)! Last year, there was just the one DRS detection and activation zone, situated around turn 14. The race didn't deliver, particularly compared to some of the brilliant events around it, and so this season, the FIA have upped their game. There are now two activation zones for the one detection point. The first activation zone centres on the final corner just before the start/finish straight, whilst the second comes just after the first corner. There aren't many places to squeeze DRS on to this twisting track, so it will be interesting to see how it works in 2013. The Hungaroring is very reminiscent of the Monaco circuit. It is full of corners, one after the other, and requires complete concentration from start to finish. As soon as a driver hits turn one, leaving the home straight behind him, there is barely another piece of straight track to relax on. With relatively narrow tarmac, the track does not encourage overtaking - just as Monaco doesn’t - and the race can turn into more of a marathon. With the added heat, the extra concentration required, the fatigue, and the excess strain on the cars, reliability and retirements can feature more often than not. Seeing a Safety Car, however, isn’t a usual occurrence and the racing is often very clean. 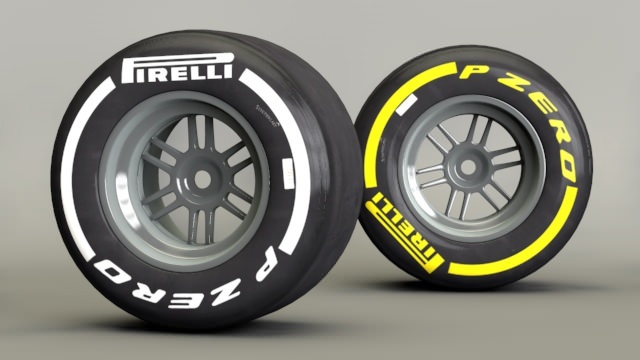 The tyres used at this weekend's race are a compromise of 2012 structures with 2013 compounds, meaning they should last a full stint without exploding, but will be softer and still degrade a lot. 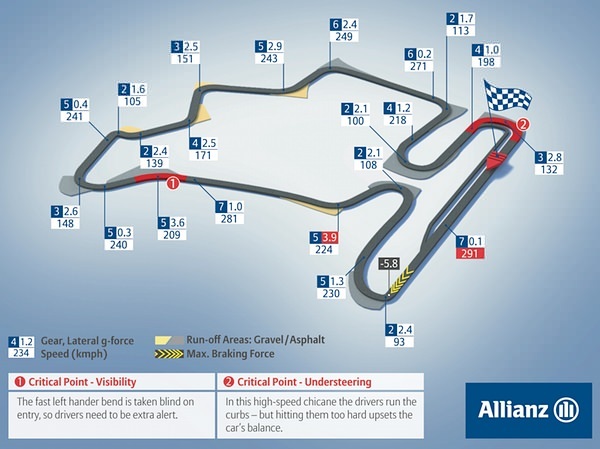 Although the track is twisting and high speeds aren't necessarily going to be a wearing issue, this is offset by the higher temperatures which may affect the strategies the teams go for. Overtaking at this circuit is never an easy task, so the teams will be looking to use strategy to maximise their opportunities to gain track position. The selection of medium and soft tyres should provide plenty of chances to help them do that, based on the data that all the teams gain with different fuel loads in free practice. Allan McNish Three-time winner of 24 Hours of Le Mans, American Le Mans Series champion, and F1 race driver 2002. Next post Sirotkin at Sauber - How young is too young?